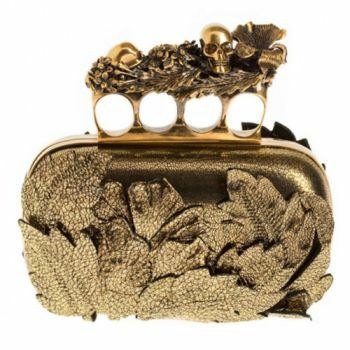 I almost fell off of my couch when I saw the Alexander McQueen 3D Leaves Knuckle Box Clutch's review on bagsnob.com today! 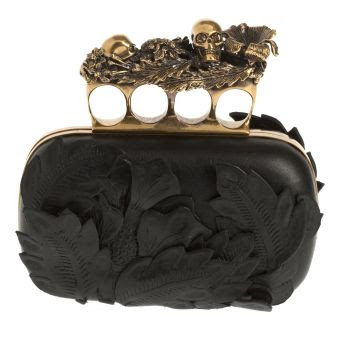 I've always admired the many variations of the iconic skull clasp clutch, but none of them prompt me to actually fork out my cash and buy it. But this bijoux is a conversation piece! Note to self: NEED TO OWN IT!! !